Total Built-Up Area - 1,430 Sq.ft. This impressive home plan makes a bold statement to most of the other house plans as it very well manages to accommodate itself within a plot of 30 ft x 40 ft. 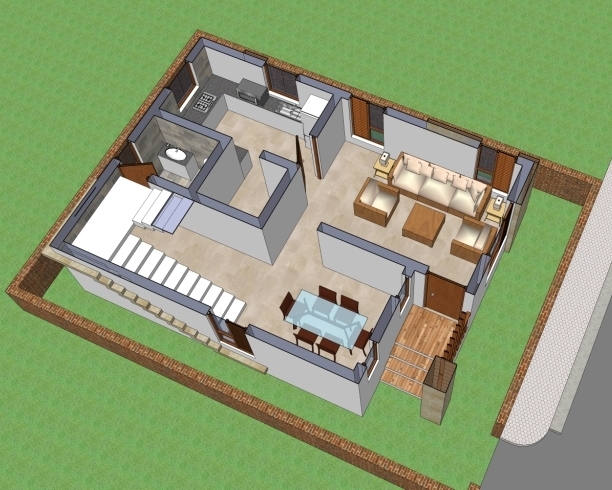 This duplex house floor plan includes a living dining and a kitchen on the ground floor along with a small store/ pantry room for kitchen. The common toilet is well tucked with the plan and can be accessed below the staircase level which leads one to the upper floor. 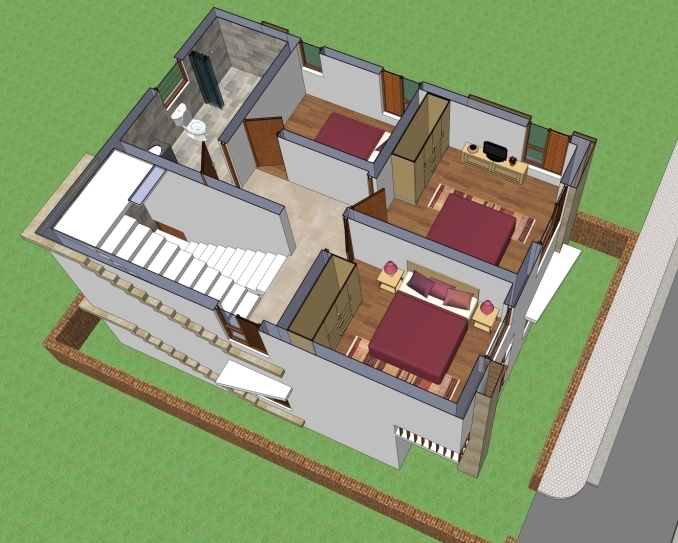 The first floor of the house manages to include 2 descent sized bedrooms and one small bedroom with one large common toilet for all of them. This surely makes sense in terms of optimal use of space and also with investment of money for constructing and to maintain multiple bathrooms in a house.